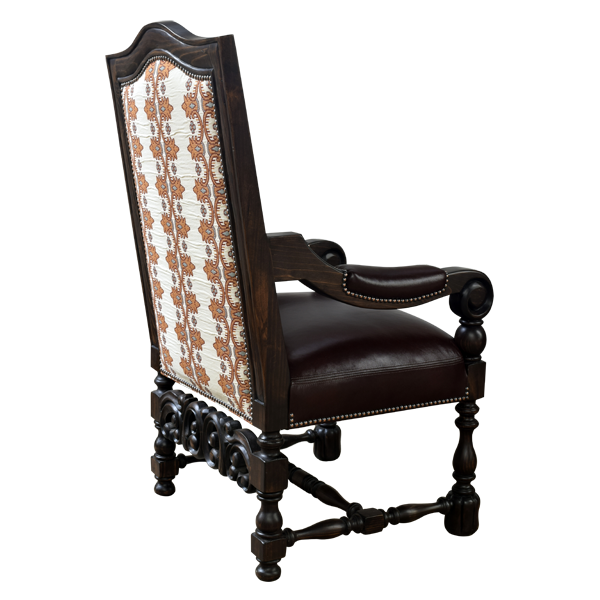 With its Spanish colonial style and Baroque details, this handcrafted armchair is a wonderful option for your interior design needs. 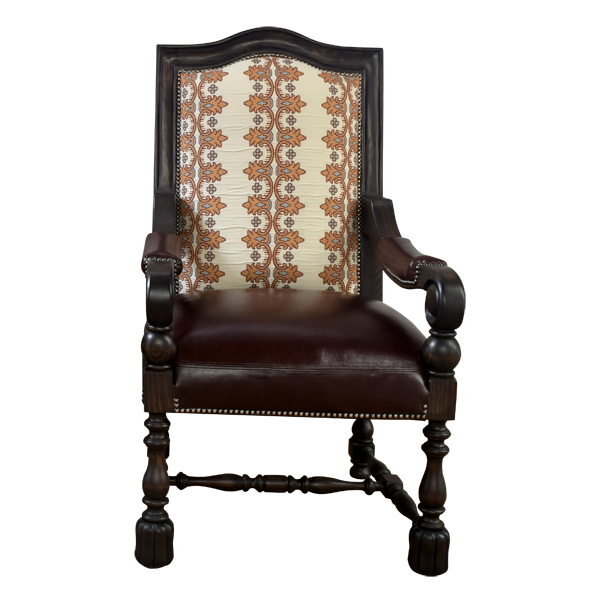 This armchair has beautiful, scrolled armrest that are embellished with hand carved floral and reed designs. The legs are hand turned and the front legs terminate in block feet. The legs are joined by an “H” shaped, wood turned stretcher and with a back stretcher panel. 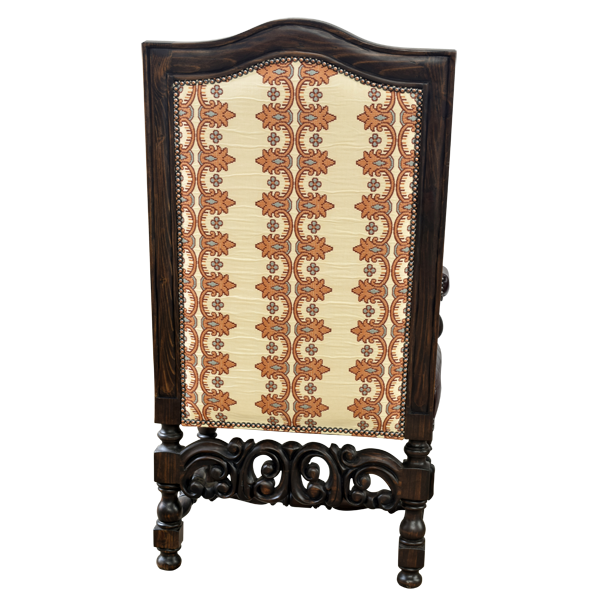 The back stretcher panel is highly decorated with ornate, hand carved, floral designs. 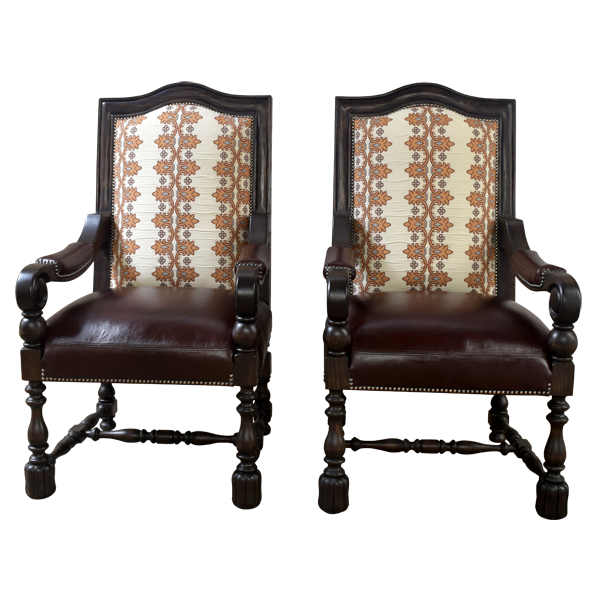 The seat and part of the armrest of this custom armchair are upholstered with dark, brown, full grain leather, and both sides of the semi-arched seat back are upholstered with floral designed, fine fabric. 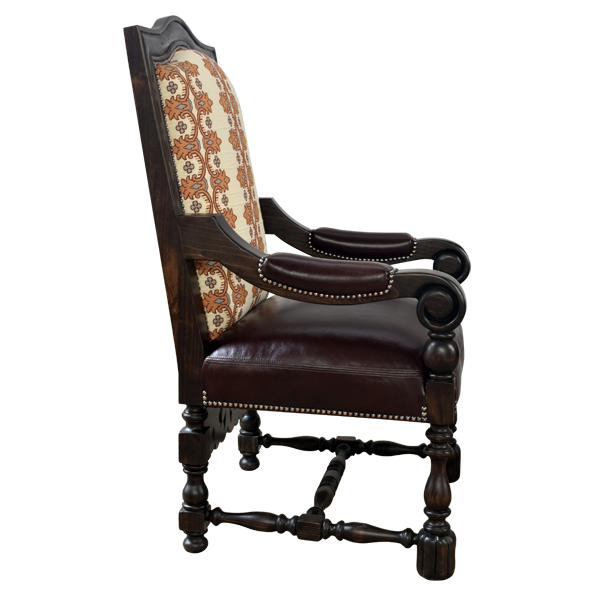 The chair is adorned with decorative nails, hand tacked to the base of the seat and the seat back. 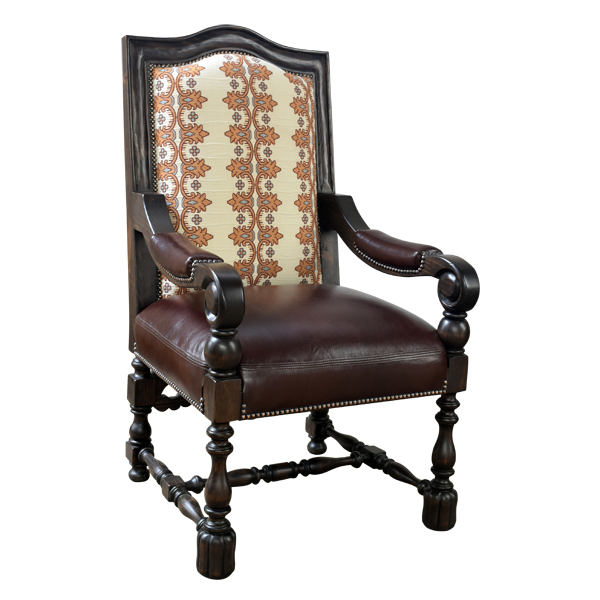 This chair is made with the best, sustainable, solid wood available, and it is 100% customizable.